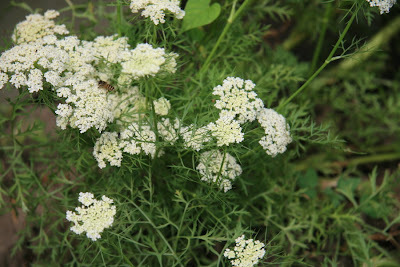 Daily DOSE Farm: White Flower, What Flower? Sometimes we leave some of our vegetables to set flowers and seeds. They also attract beneficial insects like this native bee. But do you know what vegetable bore these nice flowers?